Valentine's Day is on it's way! Since love is too big to celebrate on just one day, we've got whole week of events planned. Start off your celebration with Valentine's Day Paper Cutting Class with our friend Annie Howe! Make the perfect Valentine for your special someone using the easy paper cutting techniques Annie shares in class. 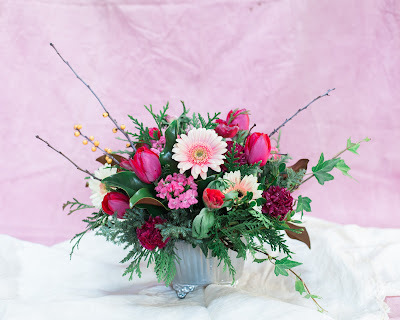 Class is Thursday, February 4th from 7-9pm at Local Color Flowers. Locally grown flowers are the perfect gift for Valentine's Day. Forget shipped in roses from the west coast or South America. 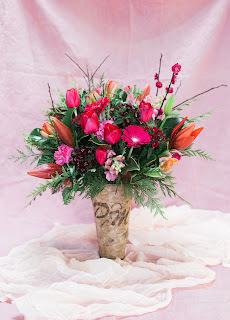 Choose a uniquely beautiful, locally grown and designed arrangement from Local Color Flowers. We have lots of options for all of your V-Day needs. Order early and often! If you want to try your hand at making your own holiday arrangement, we've got just the thing for you... Valentine's Day Open Studio! This is not a formal design class. Rather, our V-Day Open Studio Session is an opportunity for self directed design...with a little help from our designers. (Adults only please). We'll provide everything you need to make a beautiful arrangement. Bring your friends, a bottle of wine and your creativity! Open Studio takes place Friday, February 12 from 6:30-8:30. Finally, is our Valentine's Day Pop-Up Market! You definitely want to be here for this! 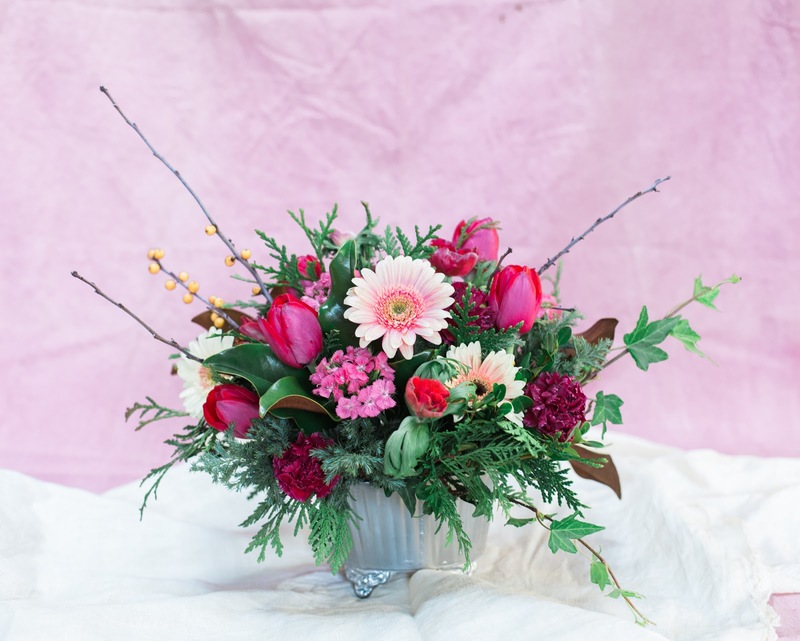 Order your V-day flowers in advance and pick them up at our Studio on Saturday, February 13th from 9am-noon. While you're there, pick up some amazing local gifts! Organic chocolates from our friends at Pure Chocolates by Jinji, organic beauty and skin products from Priya Means Love, amazingly delish snacks from Kinderhook Snacks and more! Be sure to come by! Special thanks to Drift Lab for the beautiful dyed fabric in our V-day photos! Thanks to Stacy Bauer Photography for taking our V-Day photos!